Profitable 5 Day Breakfast and Lunch Restaurant in Placer County! Profitable Owner Operator 5 Day Breakfast and Lunch restaurant Opportunity? They don't come along like this very often. Prime location with excellent visibility from the main Highway through town. Are you looking for a quality of life in a small town atmosphere? Are you looking for a business with long track record of success, profitability and growth? Great income for an owner operator team! After many successful years in business this seller is ready to retire. Well trained staff and great working hours. Profitable-Make money the first day… everything is in place. Well established, very busy breakfast & lunch with center of town location. Type 41 Beer and Wine included. The Specialty is breakfast & lunch, but you could also be open for dinner. It enjoys a nice outdoor patio which is well used. You could also add additional days per week if desired. 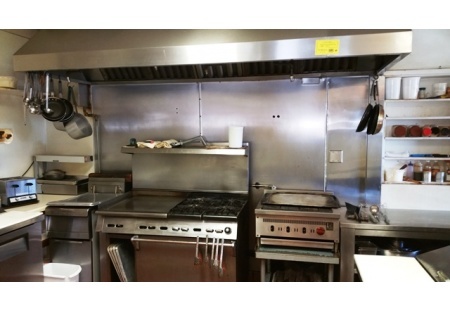 Kitchen has a double line with 2 hood systems, plenty of storage, nice size office, walk in and much more. Lease $6,000 per month all in for approx. 2,800sqf. Seller will work with buyer to ensure a smooth transition.